We will meet at the winery continue with a visit of the vineyards and finish off in our tasting room at the winery in order to discover the character and personality of our wines. 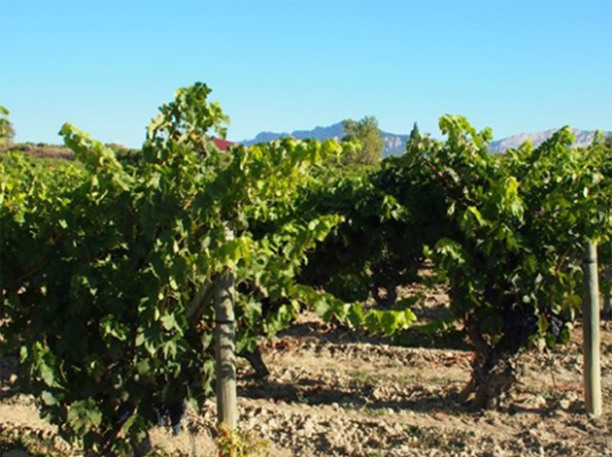 At Bodegas ARTADI visits are only available from Monday to Friday. What winery would I like to visit? No quería que pasara mas tiempo sin darles las gracias por la oportunidad brindada de visitar las Bodegas y más aun, por la atención y detalle que se nos brindo durante todo el proceso. Sin duda fue una experiencia única. On behalf of the Noble Inns crew and myself thank you to you both for organising such an informative, eye opening and fun visit to Artadi. You have wiped the slate clean and opened up a path of discovery with the only constraint being what Mother nature provides from year to year. You managed to convey your message very well so sure the rest of the World will catch on and get it. Thank you so much for our visit. It was a great visit once again to learn more about Artadi and each time you learn a little more. It was very special to meet the family and see the new laser machine working. It was of special interest to see the hose breaking up the cap during the alcoholic fermentation and then to taste the grape juice. A perfect day and then a great winemaker's dinner. We felt very fortunate. What a great experience to taste the aged wines and leading to the climax of the El Pison. It was even more meaningful to taste the El Pison after we had experienced the location. We are back in Holland and feel homesick for your wine region...On behalf of the Dutch Wine Academy we would like to thank you for the fantastic reception two weeks ago. We have learned a lot and tasted great wines. Your hospitality, passion and commitment is amazing. It was an unforgettable experience for everyone.